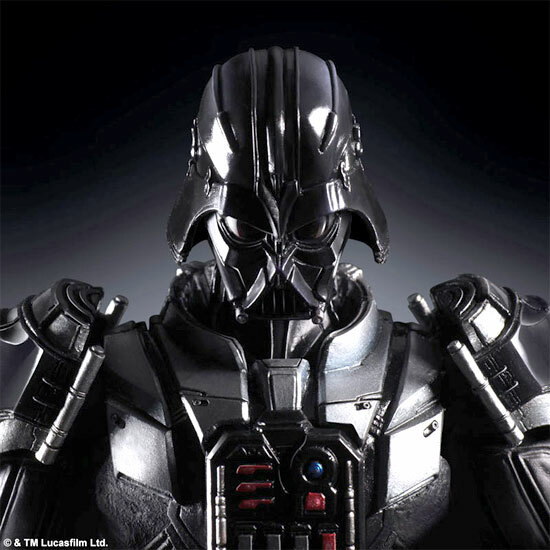 Since 2015 Starwars is coming back in the new movie, the license of the characters was release to many Japan toy maker. 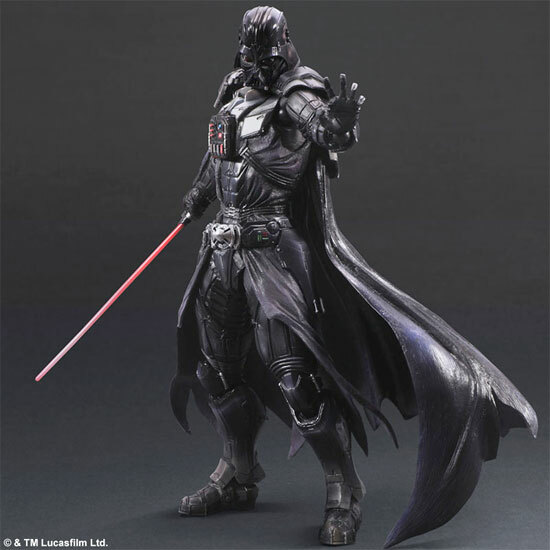 This time is SQUARE ENIX and under the Variant Play Arts Kai series comes 《STAR WARS》 and the first character undoubtedly like many others will be Darth Vader. 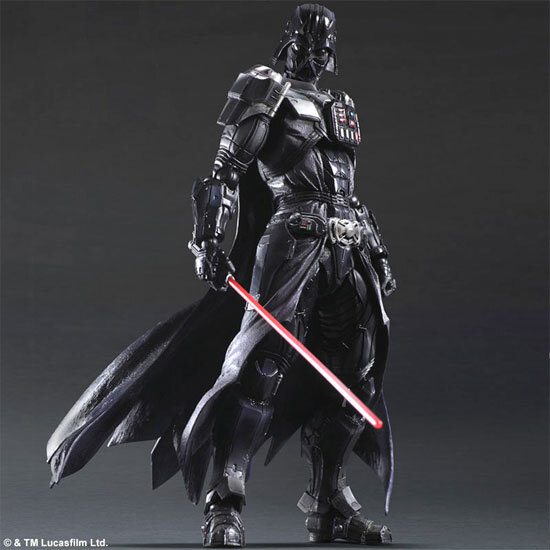 This is a re-imagine series and this Vader look great as it has more armor looking. You can pose him using the force! 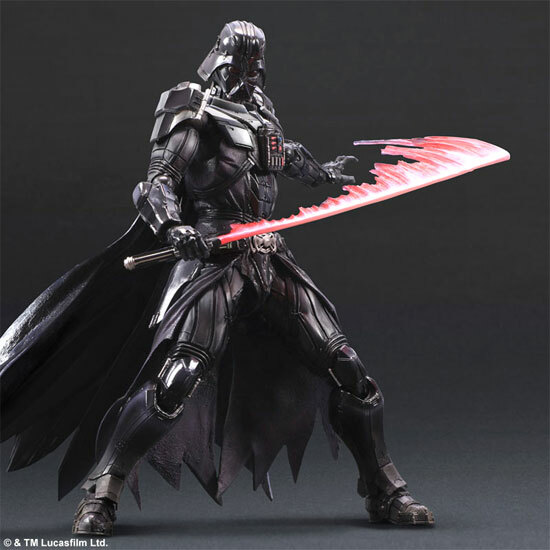 They even throw in a swing lightsaber effect as a separate saber. 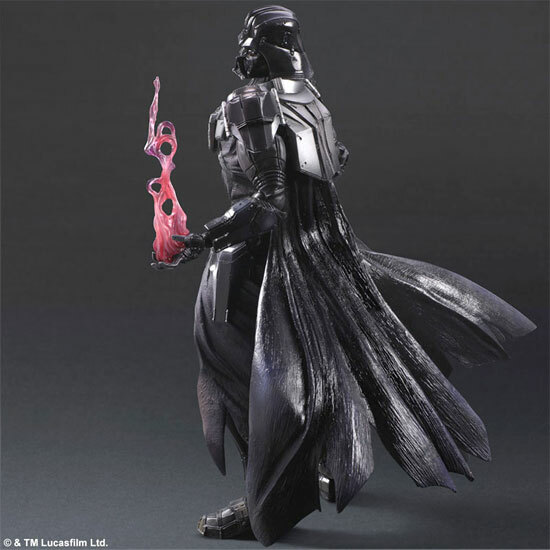 Now the red flame is something I have never seen in the Starwars. More to be like Kyo of King of fighter to me. 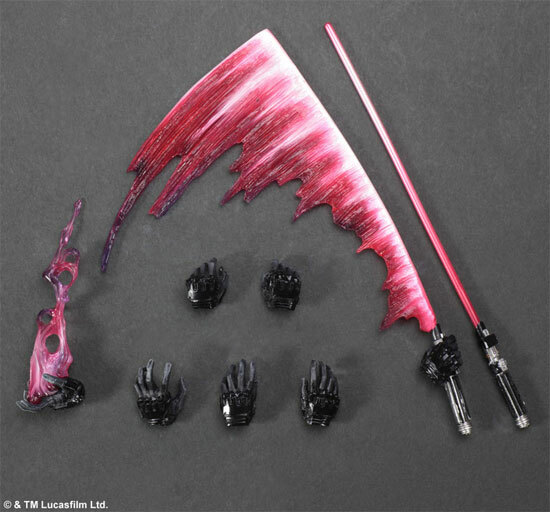 Here are the loads of accessories of the lightsaber and the hands.